I usually respond to my mails within 24 hours. You may find common questions being answered in the FAQs section. 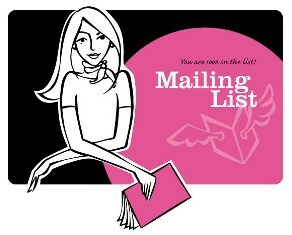 Join The Fashion Gateway Mailing List! Receive updates on latest sales, promotions and new arrivals! LOVE this website? Bookmark or Share it with others! By law, I need to declare that I am not an authorized dealer or associate of any of the designers, brands or manufacturers that are offered on my website. All trademarks, brand names and logos mentioned are used for identification purposes only and are registered trademarks of their respective owners who reserve the rights of ownership. All images shown on this site, if not taken by me, are copyright of their respective owners.